We have added all the concrete information about Yo-Kai Watch Blasters: Red Cat Corps & White Dog Squad review, story, gameplay, features, trailers, walkthroughs, & you can find more information in this post so keep scrolling till the end. Beat the rival Yo-Kai & Big Bosses using abilities & Soultimate Moves with up to 3 more friends. As you tackle quests, befriend new Yo-Kai to make a bigger team. As you finish quests, collect Oni Orbs & objects to level up or forge equipment to power up your squad. Some quests, bosses, & Yo-Kai are exclusive to each version of the game. You can trade Yo-Kai b/w versions to gather them all. You can include all friend Yo-Kai from all versions of the Yo-Kai Watch 2 video game, boss Yo-Kai, plus all the new Usapyon, Blizzie & more in your team. You can link save data with a version of Yo-Kai Watch 2 to befriend special Yo-Kai. You can reveal new sides to the tale in addition to new Yo-Kai, bosses & quests with software update. Yo-Kai Watch Blasters: Red Cat Corps & Yo Kai Watch Blasters: White Dog Squad are a pair of role playing strategy games developed by Level-5 & published by Nintendo for Nintendo 3DS. 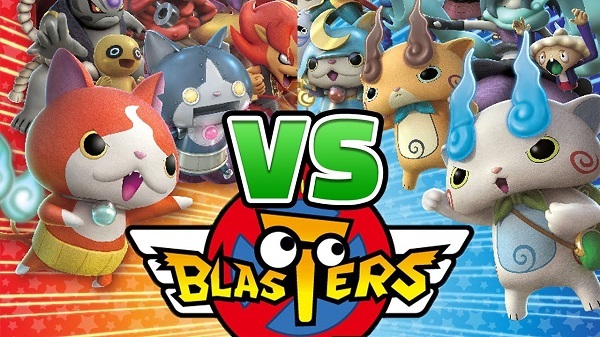 The pair are spin-offs based on the Blasters mini-game in Yo-Kai Watch 2 & were released on 7 September, 2018. Yo-Kai Watch Blasters story follows Jibanyan & his blasters team in stopping Yo-Kai shenanigans. You can tackle various quests & bosses, & you can include new Yo-Kai in your team after beating them. The game is an expansion on the Oni-Busters gameplay that was initially introduced in Yo-Kai Watch 2. You can make a team of 4 players & you must fight other Yo-Kai & Boss Yo-Kai. 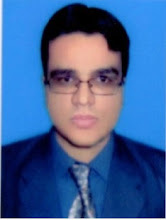 You can also play online multiplayer. You can use skills & powerful Soultimate Moves to beat enemies. The earlier Yo-Kai Watch games were focused on turn based combat but this game drops players into real time skirmishes, in the first action RPG for the series. During fights, you can directly control your Yo-Kai as you use different abilities & equipment to beat bosses. You can start your adventure & you can take on various fast paced quests. You can meet, fight & befriend more than 400 Yo-Kai. When you train Yo-Kai, it will affect team’s strength in fight. By training, you can create items & equipment to use on your personal Yo-Kai team. By completing quests, you can receive more powerful & useful items. Yo-Kai Watch Blasters: Red Cat Corps is an entertaining video game that will delight players of the saga, although the game is excellent for new players as well. The game has an easy & direct approach than the main games. 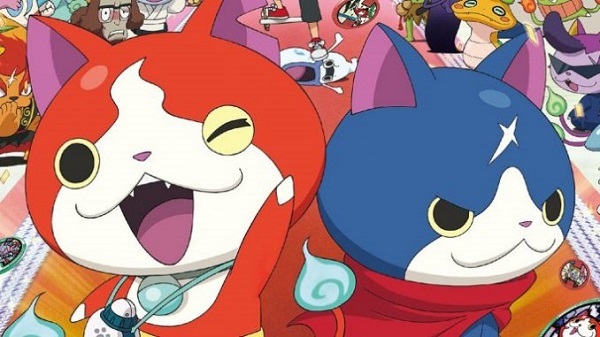 However, Yo-Kai Watch Blasters: Red Cat Corps & White Dog Squad is based on completing quests, so some fans may get bored due to its repetitive formula. You can play Pokemon series where you can fight, collect & recruit a series of creatures. Yo-Kai Watch Blasters can let you control those creatures yourself. The camera is from top down perspective in various locations where you can befriend Yo-Kai & battle bosses which is different from what we have seen in Pokemon. It depends on you which series you play; you will begin with either Komasan or Jibanyan but you can switch to other creatures you meet & befriend. The Yo-Kai can also offer their own role in fight, offering a tactical advantage to the squad when you are exploring & fighting. Some of the Yo-Kai are fighters (perfect for melee & close up attacks), Rangers (best for long range attacks), Tanks (best for drawing rival attention & blocking rival attacks) & Healers (perfect for healing). You need to acquire Oni orbs that are occasionally dropped from the rival or you can find them by looking for a devil symbol on the map, complete the quest (or flee) then come back to your Blasters Home. Once in Home, you can visit LyGym & charge up a bar to enhance a Yo-Kai’s level which upgrades their stats & unlock new moves. Levelling Yo-Kai’s is a very good approach & it lets you explore the locations completely once you are assigned a mission & they can be used as cash to buy new items or for evolving Yo-Kai’s. You can buy the digital version of Yo-Kai Watch Blasters: Red Cat Corps game & you will get a code that offers you a chance to fight & befriend Maginyan. Watch Yo-Kai Watch Blasters: Red Cat Corps & White Dog Squad announcement trailer. 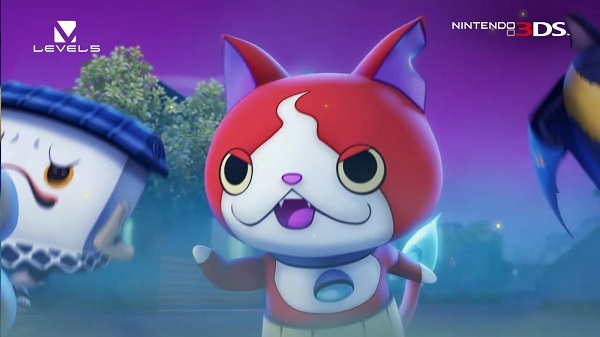 Watch Yo-Kai Watch Blast: Red Cat Corps & White Dog Squad launch trailer in HD. Watch Yo-Kai Watch Blasters: Red Cat Corps & White Dog Squad Episode 1 (Full Game Walkthrough). Watch Yo-Kai Watch Blasters: Red Cat Corps & White Dog Squad Episode 2 (Full Game Walkthrough). Watch Yo-Kai Watch Blasters: Red Cat Corps & White Dog Squad Episode 3 (Full Game Walkthrough). Watch the remaining Episodes of the walkthrough on Youtube.